Get comprehensive insights on financials and KPI performance. ISA’s Annual Performance Report (APR) helps you put into context your overall financial and KPI performance with your industry peer group. Accurate data, dynamic reporting, and personalized results gives you the confidence to make informed decisions to take your business to the next level. We partnered with Industry Insights, the leading online analytics provider across all associations, to provide our members with a secure and powerful platform. Industry Insights guarantees your information will be held strictly confidential. Information is collected in Q1, with available reporting in Q2 each year. ISA’s Top Line Pulse is a monthly snapshot of how your top line measures up. Month and year-to-date comparatives against the market, your peer group and industry indexes of your choosing, help you assess your performance along the way. Through mobile and online technology, updating is quick and simple. It’s never been easier. We partnered with Industry Insights, the leading online analytics provider across all associations, to provide our members with a secure and powerful platform. Industry Insights guarantees your information will be held strictly confidential. Information is collected on a quarterly basis. 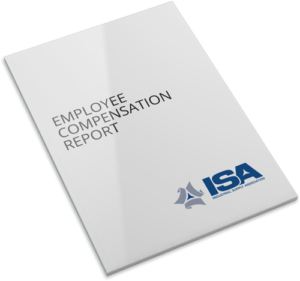 ISA’s Distributor Compensation Report is a cross-industry analysis of wholesale-distribution salaries and benefits. Released every two years, this report captures all relevant employee information from the C-suite to the warehouse in a confidential and secure platform. This report arms you with information to help you retain and compete for the best employees needed to move your business forward. We partnered with Industry Insights, the leading online analytics provider across all associations, to provide our members with a secure and powerful platform. Industry Insights guarantees your information will be held strictly confidential. Information is collected on a bi-annual basis.